Get off the beaten path with this bike tour along the scenic country roads of Puglia. A local guide leads the way from the city streets of Alberobello, the capital of cone-roofed buildings called trulli, into the beautiful countryside. 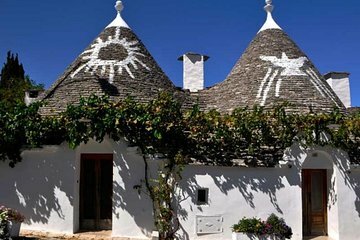 Visit a local cheese factory, witness the mozzarella-making process, and taste several cheeses before hopping on your e-bike for a cruise back to Alberobello.